Seventeen months ago 42nd Street opened at the Theatre Royal Drury Lane to rave reviews. And it’s still going strong – with a new lead! Bonnie Langford ably takes the lead (Dorothy Brock) previously held by Sheena Easton, Lulu and Steph Parry in the role as Dorothy Brock – a semi-ageing theatre star who, due to an injury (intentional or otherwise), is unable to go on with the show. So in comes Peggy Sawyer (a still amazing and wonderful Clare Halse, who is, lucky for us, still in this show) – straight off the bus from a small town and looking for a break, and she gets it! Unfortunately, it’s at Brock’s expense. Sawyer gets a job as a backup dancer in a show called Pretty Lady, and the Pretty Lady in the title is Brock. But Brock breaks her ankle, so after getting fired for causing Brock to break her leg, Sawyer is roped back into the show, this time as it’s lead, and she’s only got 48 hours to learn the part, to learn the dance moves, and is wooed and coddled by director Julian Marsh (Tom Lister – still in the role). But it’s Billy (Ashley Day) who really takes a liking to her. Will she be ready and rehearsed in time to open the show? Will the nerves get the best of her? I’m sure we can all figure out how it plays out – and plays out it does, much to our delight! But the story line pretty much takes a back seat to the musical numbers. Songs such as ‘I Only Have Eyes for you,’ ‘Lullaby of Broadway’ and ‘We’re in the Money’ still have that wonderful toe-tapping feeling. And the sets are superb as well. Act 1 moves us from the stage of the 42nd Street theatre to The Gypsy Tea Kettle Restaurant and then on to Philadelphia, while Act 2 takes us from the dressing rooms to a Philadelphia train station – all realistically cleverly designed. And those dance numbers – wow! There is one amazing scene where a dozen or so female dancers are on the floor while a mirror hovers above them for the audience to see – it’s breathtaking! This cast is definitely the hardest working cast in town – from the opening number where they tap themselves to death to the finale where they all come down the amazing light-up stairs – it’s one singing sensation after another. Halse is superb (with an excellent voice) as the lead, Langford does a good job as Brock, and the rest of the cast are just as good. But it’s Halse, of course, who is the real star of this show, and of the show within the show. And Maggie Jones and Christopher Howell excel in their supporting roles. 42nd Street is still a must show to see. 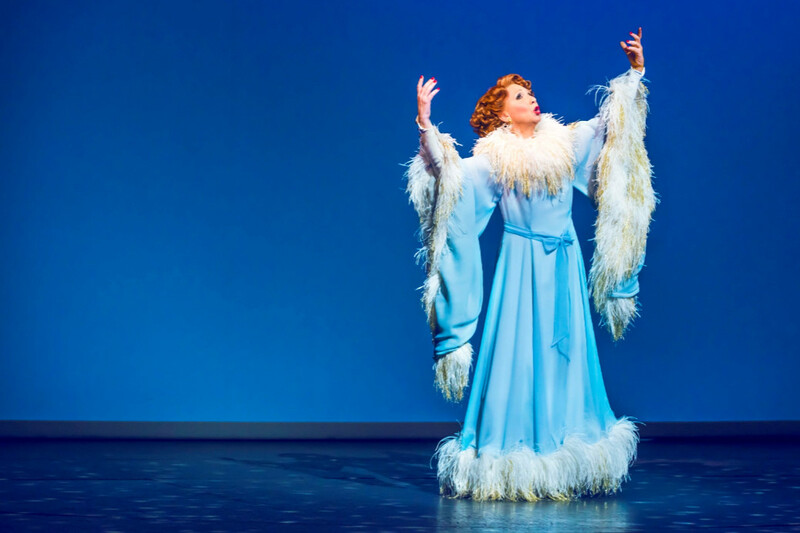 42nd Street is playing at DTheatre Royal Drury Lane, London is booking until Saturday January 5, 2019.